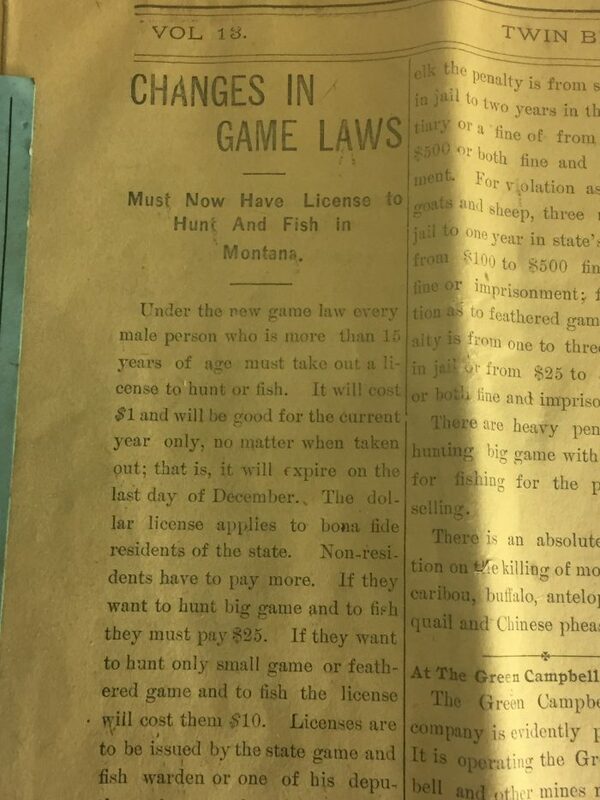 Once upon a time you could hunt in Montana without a license. I was reminded of this as I perused a museum in Virginia City last weekend. 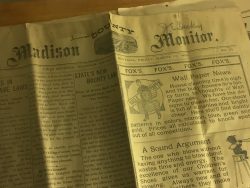 Amongst the exhibits was a a copy of the Madison Monitor from March 17, 1908. The newspaper announced that all men over the age of 15 would be required to pay for a license to hunt in the amount of $1. Out of state licenses were $25. 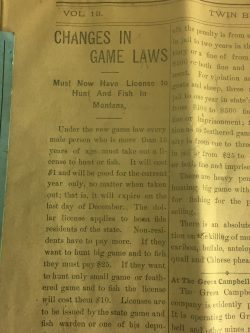 The wording of the article suggests that this was the first year Montana had required such licenses. The story right next to that one noted that the bounty for grey wolf pelts had been raised from $5 to $10. The exhibit was interesting to come across indeed.